Will it ever stop snowing? I'm starting to feel claustrophobic with all of the snow we've received here in Boston. The city's been coated with 62 inches since January 15th, and is expected to get more on Friday! On top of all the snow, it's been freezing! So what's the best way to keep warm? With a big puffy coat. I've had this one from Elie Tahari for almost five years and it is still my favorite. It's the warmest coat I've owned, and although it's a big, it's not overwhelming. Some puffers tend to make you look wide, but this one is slimming, and the ruffle hem give it a dressier look, so I can wear it dressed as well as casual. These North Face boots have also gotten me through the past five winters. I've forgone the Sorel route, as I can't seem to part with them. 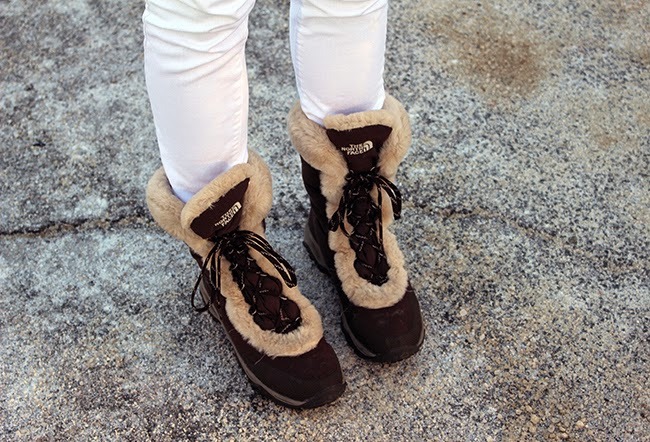 Not only are they super comfortable, but I love their brown color with my off white coat. I thought I'd change up my look by wearing earmuffs instead of a hat. 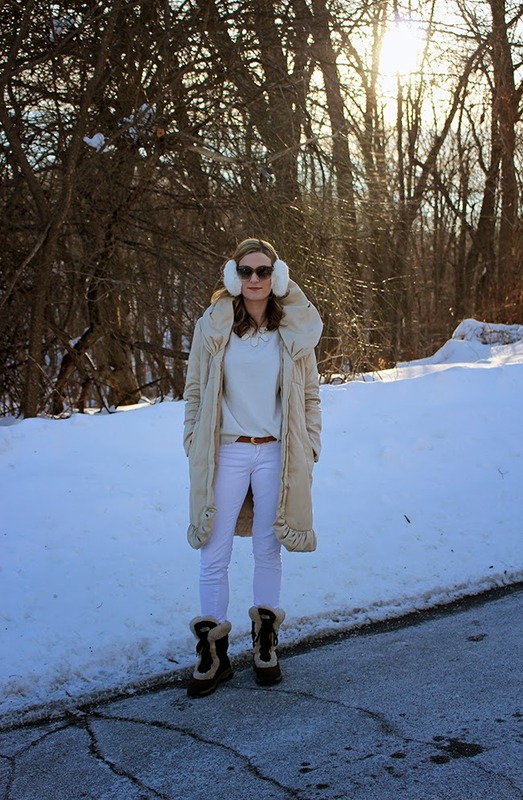 I got these in Killinton, Vt, and love how warm they keep my ears. A nice change when you have to wear hats every day. Now, is it spring yet? ?